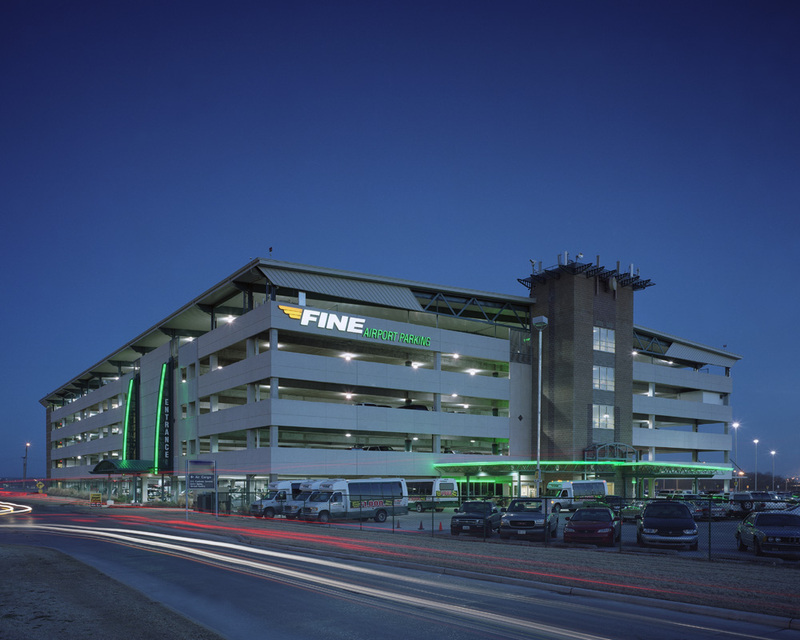 Since its founding in 1983, Fine Airport Parking has become a highly successful, off-airport parking service at Tulsa International Airport. After years of offering surface parking options, they decided to add a large parking garage, which allowed them not only to increase the number of spaces available but to offer new services to their patrons. 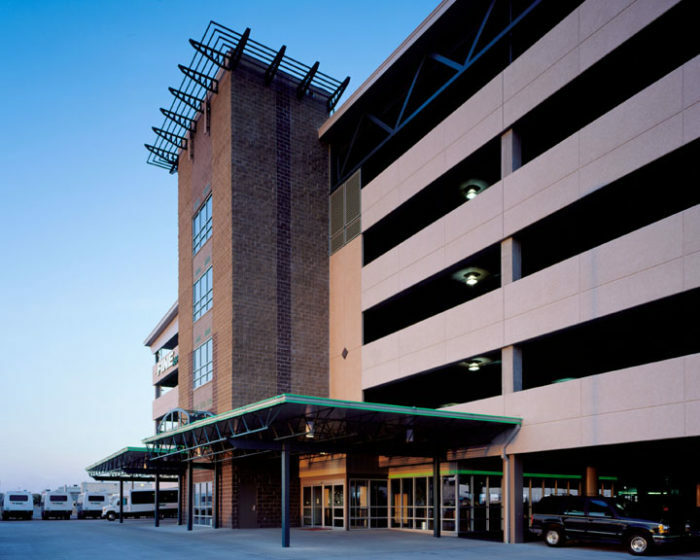 The facility offers a wide array of amenities including valet parking, auto detailing, oil changes, and complimentary newspapers, popcorn, and beverages. Wallace Engineering provided the structural design of the new five level, 1,200 vehicle parking facility with a double helix ramp. A post-tensioned cast-in-place concrete frame was selected, as it accommodated the developed traffic flow, provided a durable low-maintenance structure and was within the owner’s budget. 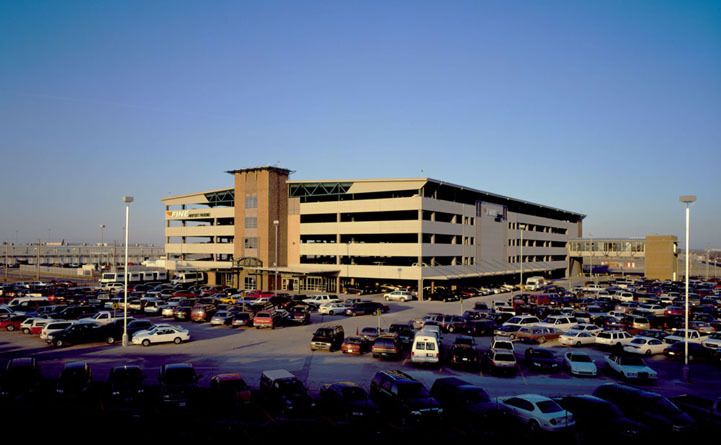 Precast spandrel panels were selected as the exterior facade elements.